Thanksgiving is almost here! While we’re sure you can’t wait for all the turkey and stuffing, chances are some of your sides will hit the floor. 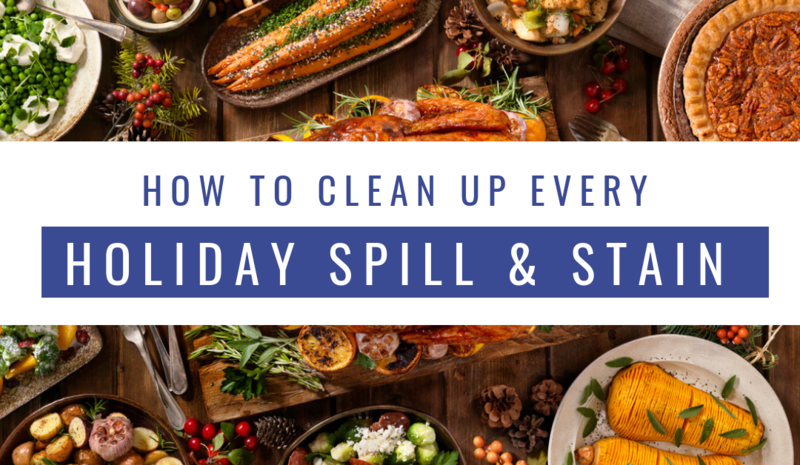 Don’t worry — we have the tips you need to get even the messiest holiday stain (we’re looking at you, cranberry sauce) out of your carpet and upholstery. Apply a small amount of dry cleaning solvent or alcohol. Mix one teaspoon of liquid detergent with one cup of lukewarm water. Mix one-third cup of household vinegar with two-thirds cup of water. Mix a solution of powered enzyme laundry detergent. Allow the solution to remain on the stain for a few minutes. Blot any remaining moisture or cleaning solutions by pressing the area with an absorbent towel and allow at least six hours to dry. If all else fails, contact the textile experts at Triple S for carpet and upholstery cleaning to get rid of the holiday mess. We are a family owned business with over 50 years of experience.